Dr. V. H. Crowder, Jr. The Lawrenceburg Rotary Club was organized on August 19, 1947 when Hiram Holtsford (pictured standing on right) and Dr. Harold Nance (sitting) met with the Pulaski Rotary Club to discuss the possibilty of forming a Rotary Club in Lawrenceburg, Tennessee. As a result, the Pulaski Club with assistance from the Lewisburg Club agreed to sponsor the Lawrenceburg Rotary Club. The Club Charter was issued by Rotary International on September 3, 1947 and presented to the club during a Charter Night banquet and ceremony on September 25th of that year. Past RI President Will R. Manier was the Keynote Speaker with approximately 200 Rotarians and guests in attendance. The club had 21 Charter Members and Hiram Holtsford was the first president. Click here for Information and Minutes of the club's first meetings. Click here for a nice article by Rotarian Neal Beard. Lawrenceburg was typical of many rural communities in the mid-twentieth century south. The newly formed Lawrenceburg Rotary Club found many opportunities for service with its first project being the purchase and installation of playground equipment for the Lawrenceburg Public school. Another early project was a Rat Eradication program in the City of Lawrenceburg. During those early years, the club searched for a signature project that would engage the membership while benefitting the community. That project turned out to be sponsorship of the Middle Tennessee District Fair and development of the Fairview Park fairgrounds into what would eventually become Lawrenceburg Rotary Park. In 1950 Fairview Park consisted of an open field, a few antiquated buildings, bleacher seating, and the ageing Crystal Plunge swimming pool. Annual use of the park and ownership of the Middle Tennessee District Fair were obtained as part of a three way arrangement between the Lawrence County Fair and Park Association, the City of Lawrenceburg, and the Lawrenceburg Rotary Club. Financing was arranged by Lawrenceburg Rotarians, ten of whom co-signed a $30,000 loan to complete the deal. The Rotary Club agreed to continue operation of the fair, and to pay the City $3000 per year for 20 years to lease Fairview Park during the month of September. The Rotary Club gained title to additional land in 1956. Click here to view a 1957 news article describing the above. In 1961, the park was leased by the City of Lawrenceburg to the Lawrence County Livestock Association. With the original agreement still in effect, the Lawrenceburg Rotary Club retained rights to use the park during four weeks surrounding the fair. The Livestock Association agreed to build new stock barns and would pay a rental fee of $1.00 per year to the City. In 1966, a new lease was executed in which land owned by the Rotary Club was conveyed to the City with the club receiving a 25 year renewable lease on the entire property. In addition, the City waived and released The Rotary Club from any further rental payments due under the original lease agreement. The Rotary Club assumed operation of the park and agreed to cooperate with the Livestock Association and other organizations for use of the facilities. The Rotary Club would set priorities and rental fees. It was at this time that Fairview Park became Lawrenceburg Rotary Park. As part of operating the park, the Rotary Club joined with the City of Lawrenceburg to upgrade facilities. A front office building was erected in 1972 and a caretaker's trailer was purchased in 1973. The 1966 lease was rescinded in 1973 so that the C ity could qualify for federal funding to build gymnasiums and community center buildings. 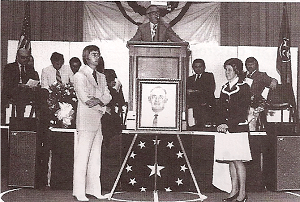 The Rotary Club provided matching money, and the Bud Webb Memorial Gymnasium was dedicated on April 20, 1975. Capital improvements continued with upgrades to the arena in 1978 and 1981. 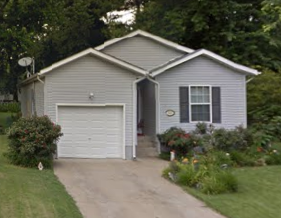 The caretaker’s trailer was replaced by a permanent structure in 1989, and upgraded to the present Jackson Street residence in 1999. The swimming pool at Rotary Park was completely rebuilt and conveyed to the City of Lawrenceburg in 1990. The gazebo was built in 1992, and remodeling of the office area and conversion to the club’s meeting room was completed in 1994. The meeting room was named Beasley Hall in 1997. Click here to view more information on Beasley Hall and a video of the first meeting. Rotary Pavilion was built in 1995 and expanded in 1997. 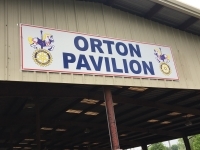 The facility was renamed the Orton Pavilion in 2017 in honor of long time Rotarian and MTDF Livestock Superintendent Truman Orton. The pavilion replaced obsolete wooden stock barns and an antiquated maintenance shop which was upgraded to a new metal building behind the old National Guard Armory. 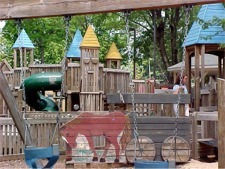 Fairside Park Playground was built in 2000 by community volunteers during a five day makeover coordinated by the Rotary Club and the Lawrenceburg Parks and Recreation Department. Twenty-four hour lighting was installed the following year. Improved food court lighting with permanent electrical connections and a major lighting upgrade for the arena was completed in 2001. The fair office was upgraded to the Middle Tennessee District Fair operations building in 2002. 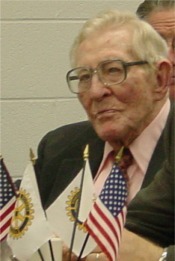 The building was dedicated in memory of long time Rotarian J. W. Durham following his death in 2011. A hard surface for the carnival midway and heavy equipment parking was constructed in 2006. The Weathers Court outdoor basketball facility was dedicated in 2007, and nearly 100 trees were planted in 2008. Land adjacent to the old National Guard Armory was purchased in 2009 and lighting upgrades at the front of the park were completed in 2011. An illuminated sign with electronic message board was installed in 2015. Additional trees were planted at the park and adjacent properties in 2017-18. Over the years, land acquisitions have increased the size of Lawrenceburg Rotary Park to approximately 27 acres. 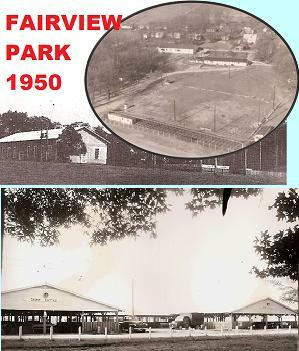 An old open grandstand was part of the original Fairview Park aquisition. The club added a cover in 1978, and aluminum bleachers in 1981. In 2014, the arena was changed to a north/south orientation, and all of the seating was replaced by a state of the art 4200 seat covered facility with eight sky boxes, press box, and stand alone rest rooms. The first event at the new arena was the 2014 Rumble at the Crossroads Truck and Tractor Pull that was held on May 31, 2014. The grandstand was officially dedicated on September 22 during Rotary Day at the 2014 Middle Tennessee District Fair. Click Here for Additional Details and Construction Photos. 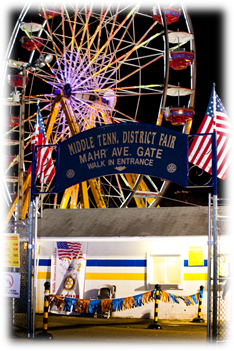 The club assumed sponsorship and management of The Middle Tennessee District Fair in 1950 as part of the afore mentioned three way agreement. The fair had been struggling in the years following World War II and was in need of new ideas and financial backing. 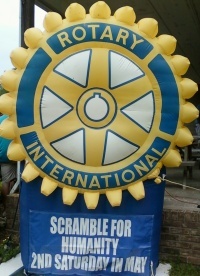 Several Rotarians of the day were involved with the fair and the Rotary Club's involvement seemed to be a natural fit. Under the club's leadership with guidance from Dr. E. R. Braley (who created the fair in 1911 and remained active in an advisory capacity), the fair grew into one of the finest in Tennessee. Click Here to view more details of MTDF's first 100 Years. 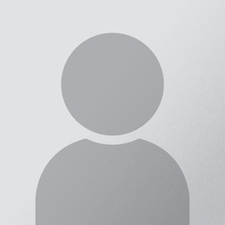 Click Here for a listing of Fair Managers and Entertainment. In 1989, the Rotary International Constitution was modified to remove long standing rules that limited membership to men. Within a year, Lawrenceburg Rotary invited Jane Jennings, Polly Powell-Marsh, and Margaret Weathers to become Rotarians. 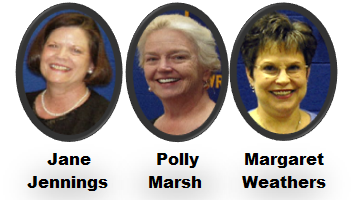 Margaret was elected to serve as Club President in 2005-06, Polly served in 2008-09, and Jane served in 2017-18. The club established its first internet presence in 1995 and moved to its current hosting platform in 2018. The club facebook page was created in 2012. The website was updated to incorporate Rotary's revised Visual Guidelines and updated logo in 2014-15. 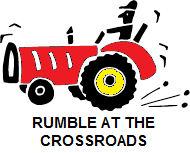 The first annual Rumble At the Crossroads Truck and Tractor Pull was scheduled in May 2004, but heavy rain forced rescheduling of the event to a later date. This popular one night event has grown over the years and the 2014, 2015 and 2016 Rumbles were voted "Best One Night Pull" in the midsouth by the National Tractor Pullers Association. The event expanded into two nights in 2017. Lawrenceburg Rotary joined with clubs from across the globe to celebrate Rotary's centennial in 2005. 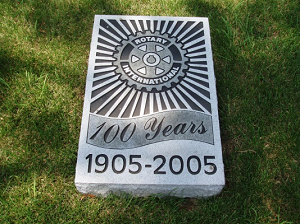 To commemorate the occasion, the Rotary Centennial Garden was created which included a stone marker with time capsule buried underneath. Lawrenceburg Rotary became active in International Service in 2006 when Rotarians Neal Beard and Jim Johnston led an effort to join an existing water and electrification project in Honduras. Under their leadership the club's involvement grew and Lawrenceburg assumed project leadership in 2008. Rotarian's Beard and Johnston have been recognized with RI's highest individual honor, the Rotary International Service Above Self Award, and the club has been recognized as a leader in District 6760's International Service effort. Click Here to view a full description of our Honduras Project. In 2008, Lawrenceburg Rotary partnered with Habitat for Humanity to build a home on First Street in Lawrenceburg. Rotarian Dean Erwin was the club's project leader and numerous Rotarians joined with Habitat volunteers to provide sweat equity. The first annual Scramble for Humanity Golf tournament was held in 2009. The first tournament was held at Dixie Oaks golf club near Summertown and was moved to the Lawrenceburg Golf and Country Club in 2017. This has become a popular fellowship event for Rotarians and non-Rotarians alike. Proceeds are directed to the Lawrenceburg Rotary Humanitarian Fund which provides assistance to charitable organizations and needy individuals throughout our community. Dr. Virgil Crowder, Jr. represented District 6760 in the 2007, 2010 and 2013 Rotary International Councils on Legislation. 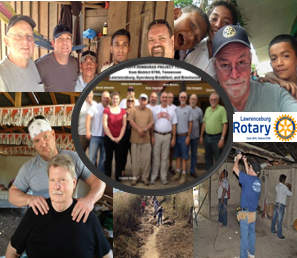 *As Rotary’s highest honor for individual Rotarians, the RI Service Above Self award recognizes Rotarians annually who have demonstrated exemplary humanitarian service, with an emphasis on personal volunteer efforts and active involvement in helping others through Rotary. Lawrenceburg Rotary has been serving our community since 1947, and we are not done yet. With strong leadership supported by dedicated Rotarians, our club will endeavor to continue successful programs and create new projects that fall within Rotary International's Five Avenues of Service. Most importantly, we will enjoy fun and fellowship along the way!